In 2009, North Kingdom met with Adopticum and immediately got excited about the potential of the 3D camera technology developed by Optronic and especially that the camera can measure the distance between you and the camera. This led to an application submitted to Vinnova, who accepted the project and partly funded it. 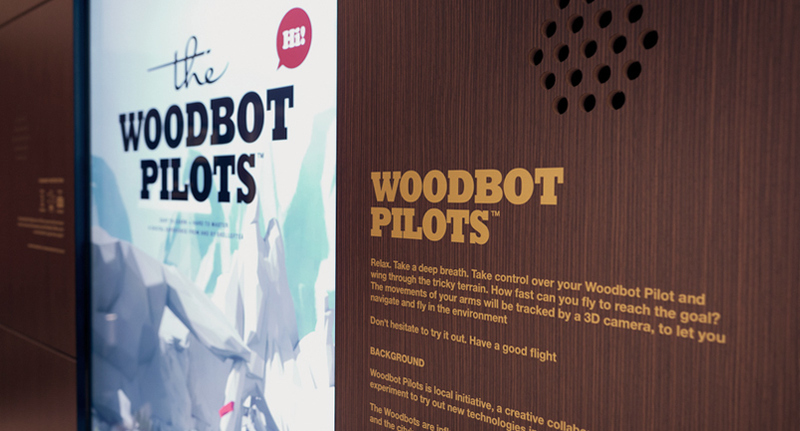 We have combined an 82-inch touch-screen with the 3D camera to allow you to interact with characters, called Woodbots. The difference between Xbox Kinect and our camera is that we are using time of flight. Kinect uses a structured light and can maintain tracking through a range of up to 3.6 metres whereas Fotonic has a max range of 7 metres. The Kinect sensor is built for use in living rooms and our camera has been optimised for industrial and demanding environments. Both cameras are using imaging CMOS sensors. There is a racing game in which you use the movements of your hands to navigate and fly in the game environment. Overall this initiative represents the innovation-driven region of Skellefteå and its openness for collaboration and networking across different branches and companies. The 3D camera uses Time-of-flight (TOF) technology (this can be explained as radar operating with light) This technology is developed and made by Optronic. If you want to contact us about Woodbot Pilots, please send a mail to woodbot@northkingdom.com. For reading the players movements we use a 3D camera. Instead of a normal picture this camera gives a 3D model of what is captured in front of it. The camera reads exactly how the player moves through the use of advanced image analysis. 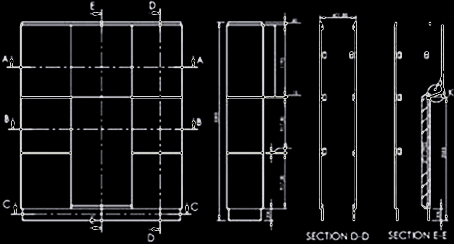 An algorithm then interprets this data as different human gestures which is applied in the game for controlling the woodbot. 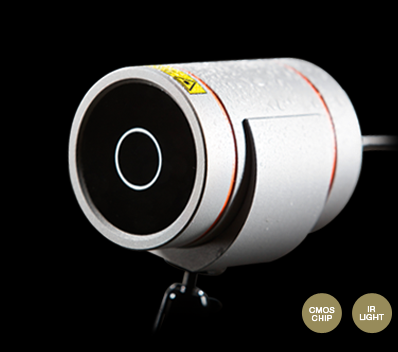 The camera works much like a radar but instead of radio waves, IR light is used. The IR light is modulated together with "in-phase" locked receptors at 44 MHz. The target distance can then be derived from the amount of photons hitting each detector. The maximum target distance achieved this far is 10 meters. The noise levels are below 3 mm if the target is within 1 meter. 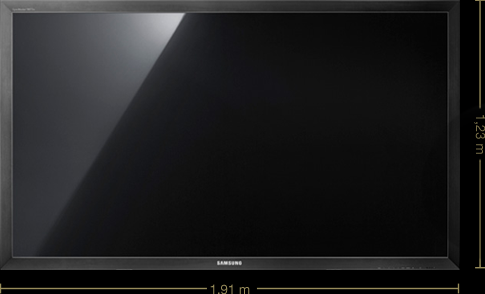 Samsung 820TS 82-inch large format display monitor with integrated touch screen. True HD 1980x1080 resolution, with built-in speakers, this display is plug and play, an ideal for public places as a way finder or to find information. The installation is built upon a steel skeleton. Considering the weight of the screen, this skeleton had to be custom made. It has several fans for cooling electronic equipment and is securely fastened to the floor. produce games for Windows, Mac, Wii, iPad, or iPhone platforms. It can also produce browser games that use the Unity web player plugin, supported on Mac and Windows. The web player is also used for deployment as Mac widgets. Support for Andriod, Xbox 360 and PlayStation 3 have recently been added. 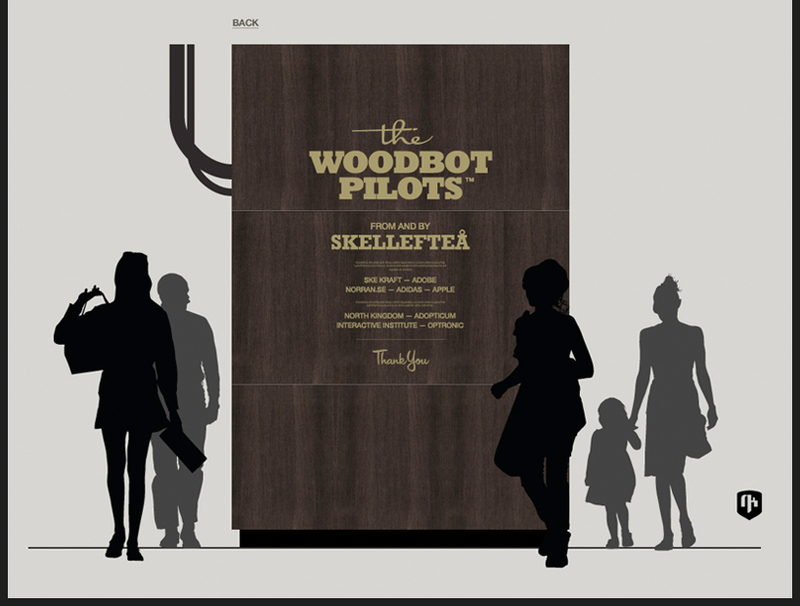 Our Woodbot Pilots are available in lot of variations. We have five different bodies, five different heads and five different horns. With six different colors we then have 750 different combinations. At the installation you can not at this point design your own pilot but this will hopefully be possible in other devices (which we hope to launch during 2011) and later on also at the installation. To have them in wood felt very natural when Skellefteå is the "wooden city". 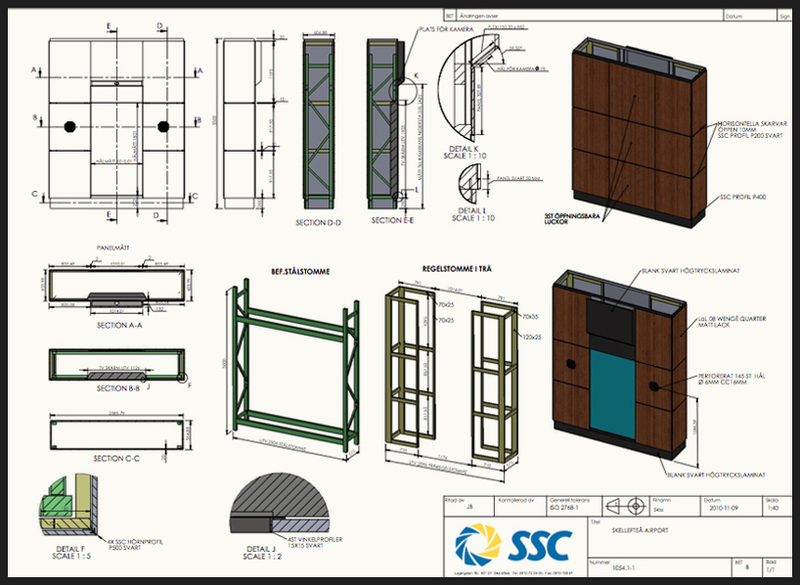 We have many wood companies here plus a division of Wood Science and Technology at Skeria/ Luleå University of Technology. All the logotypes on our characters are made up, they are all fake so no, they are not sponsored from the real world. The characters themself, who are they? Well, let us say they just love new technology and speed. "Bot" is an abbreviation for robot, and when they are made of wood we found out that "woodbot" would be a nice name for them. Woodbot is a word that isn't used yet so it is pretty unique. In the future we hope to continue to work with them and hopefully you will be able to buy them as small, 16 cm high, wooden characters you can have on your desk as a design object. This project will hopefully take place during 2011. First thing we did was to make a storyboard to see the flow. This picture is showing one of the first ones from September, approximately two month before deadline. When we moved over to the game idea we wanted characters with more attitude. 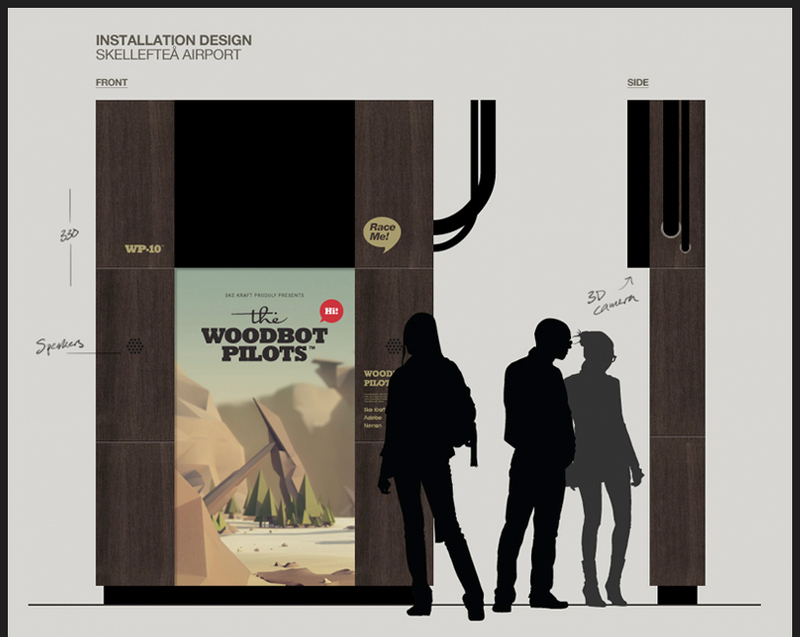 When Skellefteå is famous for its wood culture, what would be more right than to do the characters in wood? And what would be cooler to make these wooden characters into robots? 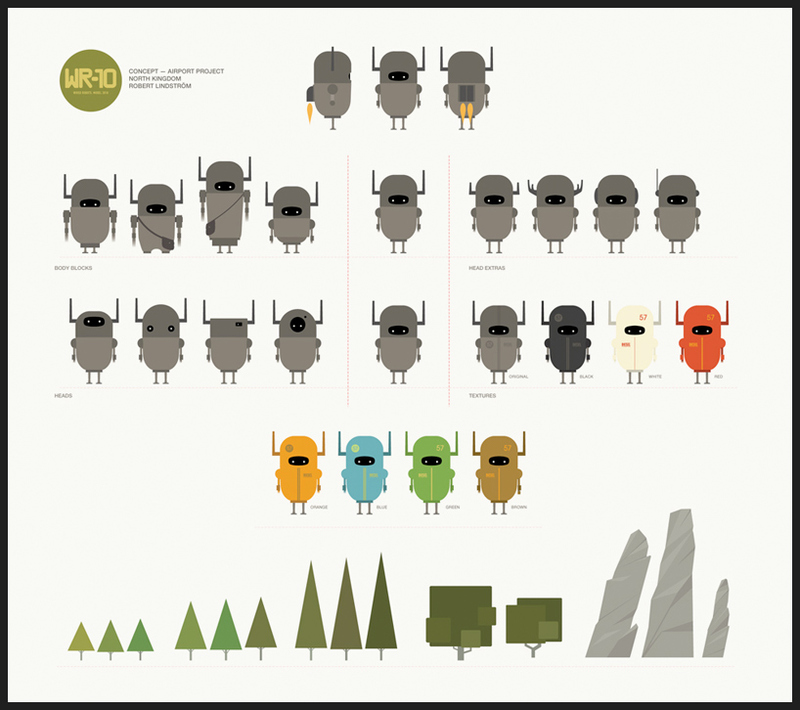 Above are the first concept sketches we made in Illustrator, showing the different bodies, heads, etc. 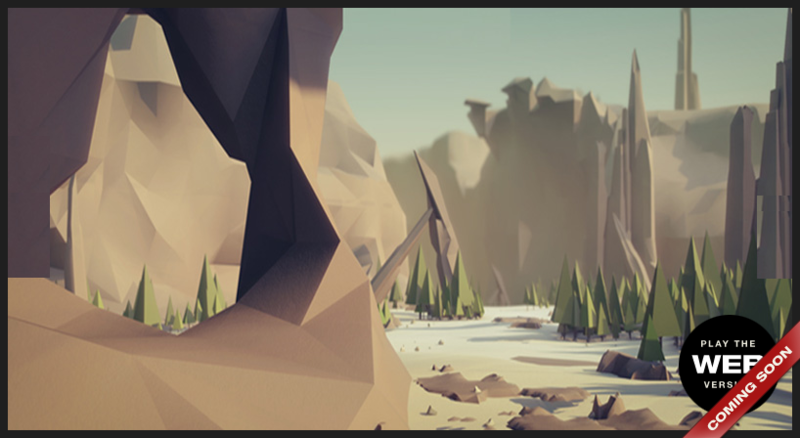 It is also showing some first ideas of how the environment would look like. Some first ideas around track design. We realized we couldn't make the track too hard for the installation when the main focus is on the experience. A reference we had is slalom. It should not be that hard to start but really hard to be the best racer. We wanted to do something with body tracking so when you choose a character we have placed the woodbot inside a visual box, which will follow your moves so it looks like the box is for real. 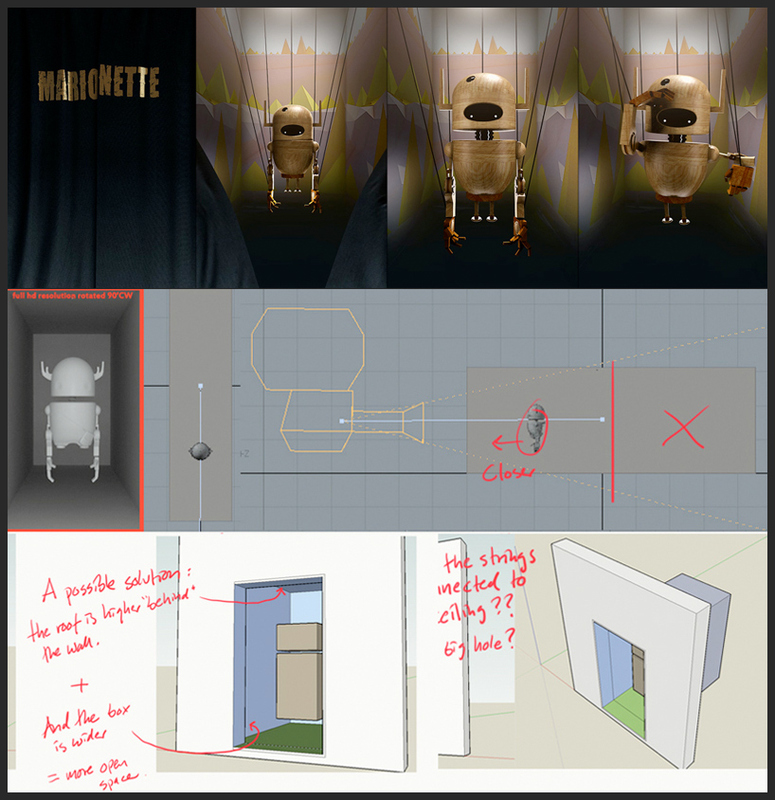 The 3D camera will also follow your moves here, as a marionette puppet. This is the final concept drawing of the installation. Made in Photoshop. 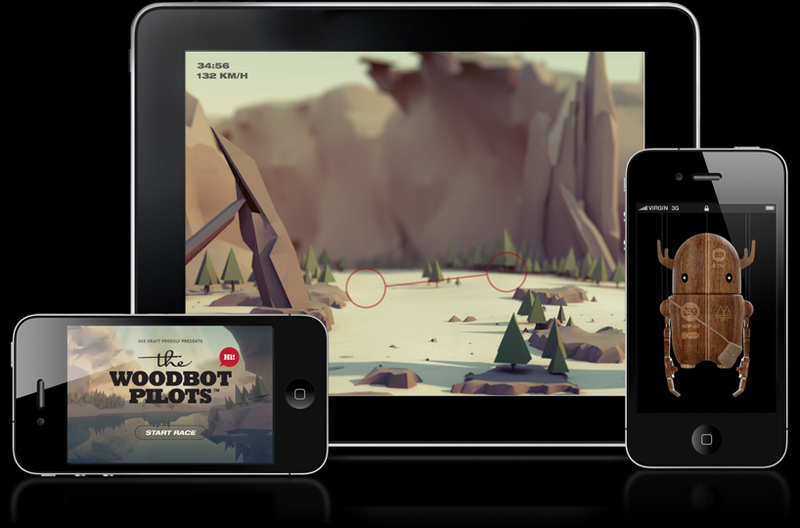 Woodbot Pilots is an experiment project for all of us who have been involved. We hope to take the concept into other platforms during 2011. We have already started to do some iPhone/iPad tests when Unity, the 3D solution we are using is Obj-C or Open GL ES for these devices as well. We will also look into an Xbox version for Kinect to see if we can learn something from that. We also hope to find a way to distribute our characters as physical design objects. The idea we have is that you will be able to put together your own characters like NikeID. A limited edition of 500 wooden characters will then be made, with sizes between 12 and 18 cm. 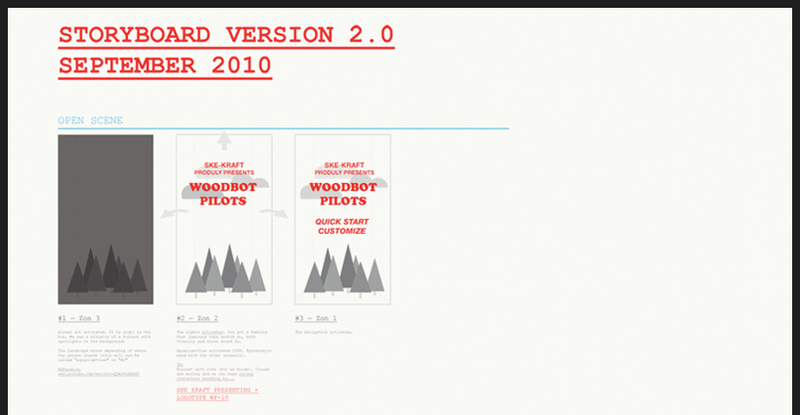 If you think Woodbot Pilots is interesting and you would like to be updated about whats going on here in the future. Do not hesitate. Sign up here and you will be notified. Copyright © 2010 Woodbot Pilots. All rights reserved.